This large window and door installation project at the end of last year for our clients in Leatherhead, Surrey was one that we all enjoyed being a part of. Our client bought their stunning property back in August. 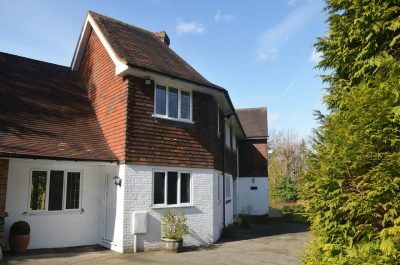 They saw the potential in the property and didn’t mind spending time renovating it into the beautiful home it is today. 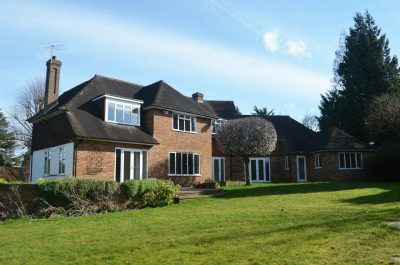 They arranged their own builders and began the renovation project in September 2017 by working their way through the property. 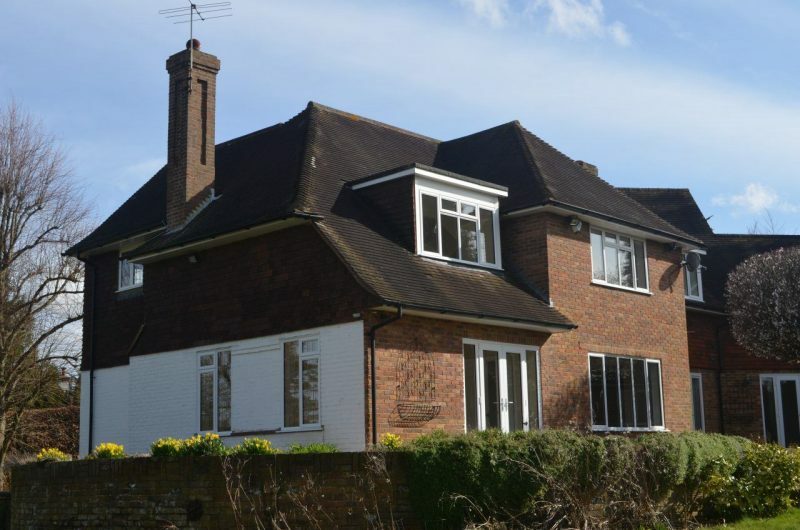 Every window and door in the home was replaced, a few walls were knocked down, a new bathroom and kitchen was installed, every room was redecorated, and the entire home had a new carpet laid. Of course, when it came to installing their new windows and doors, our client required a help in hand from our expert team here at Sheerwater Glass. 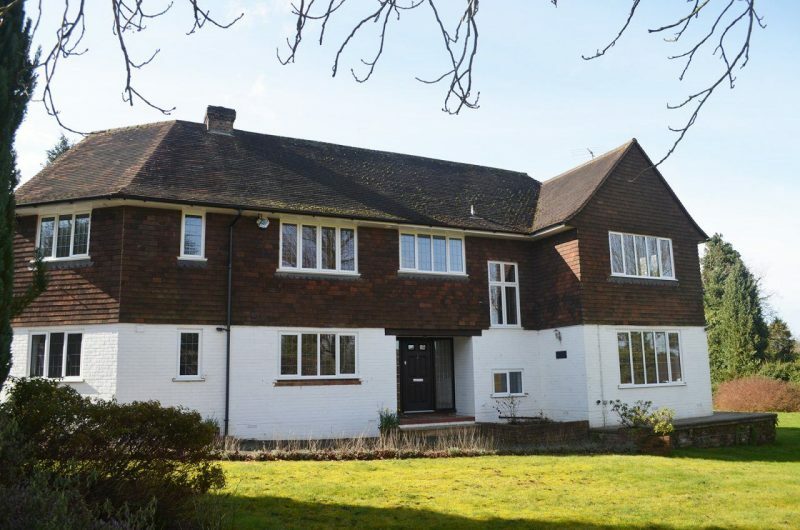 It was just before Christmas in 2017 when our team began renovating their new home – a great early Christmas treat! The original Crittall windows were replaced with our exclusive Slimline windows. 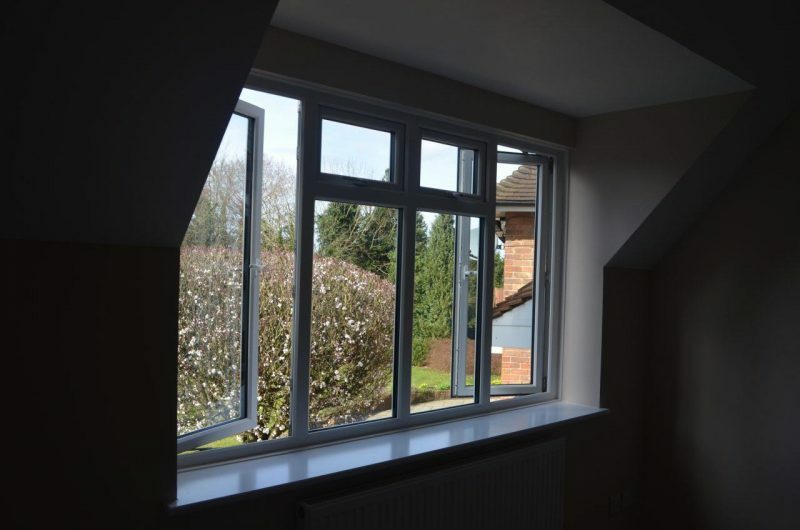 The client wanted to retain the authentic look and character of the property through the slim frames of our Slimline windows. The original windows had fan lights. 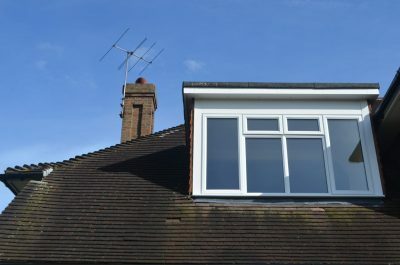 Removing them however increased the amount of natural light flooding into the property. 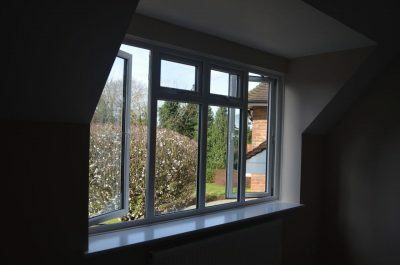 Not only was this a key benefit to the installation of the Slimline, but the sleek aesthetics of the window was another major factor in the decision making. 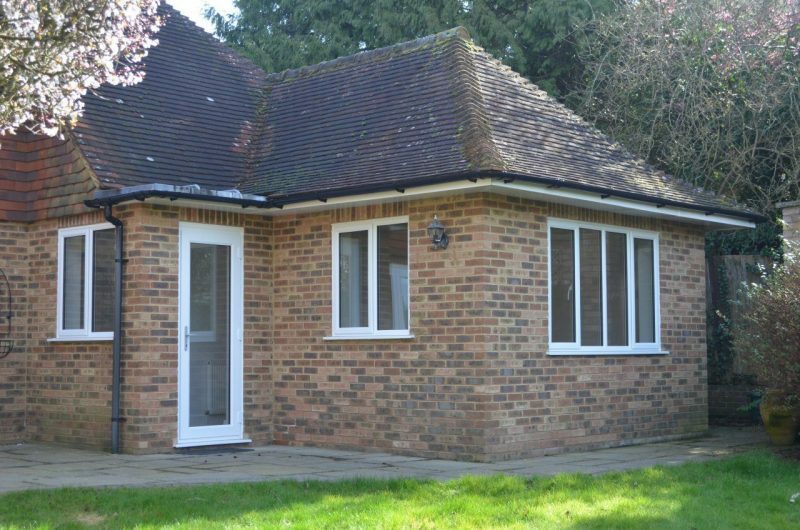 They chose their beautiful new composite Solidor to replace the old, draughty timber door. 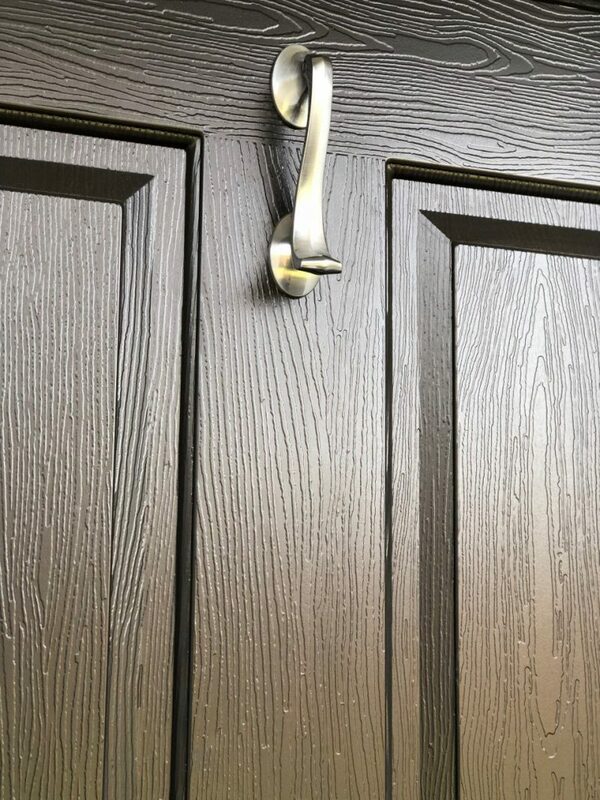 Although the main reason for this installation was down to the fact that their previous door was very old and inefficient, the fantastic security elements of the Solidor was an instant appeal. 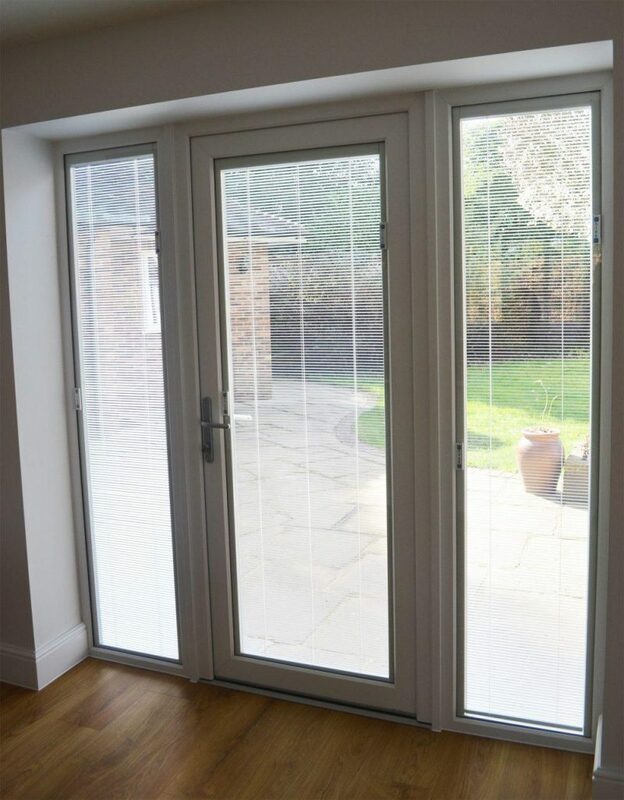 Their new French patio doors are fitted with integral blinds to shade the kitchen from the sun and offer privacy and security at the back of the house. The main reason behind our clients decision was because of our unique Slimline product. 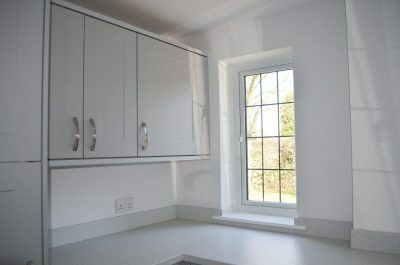 It’s something which they adored and had in mind for their new window choice. They also chose us based on our guarantee on all the products we fit, along with the great feedback they had seen around our quality of service. Simon, our Salesman, was very helpful from the beginning. He provided them with a quote promptly, which was much quicker than they expected. The overall service delivered to them was seamlessly prompt. From the initial contact to the installation, the transition between each stage was quick and simple. 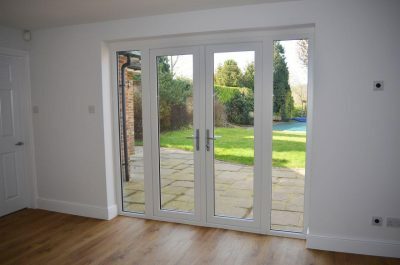 “We have been very pleased with the whole process; from the initial meetings with Simon to discuss and plan the project, through to the installation of the windows and doors. The fitting team were excellent and very pleasant to work with. They were clean and tidy, cleared up all of their mess and worked really well around the team of builders already in the house completing the renovation.